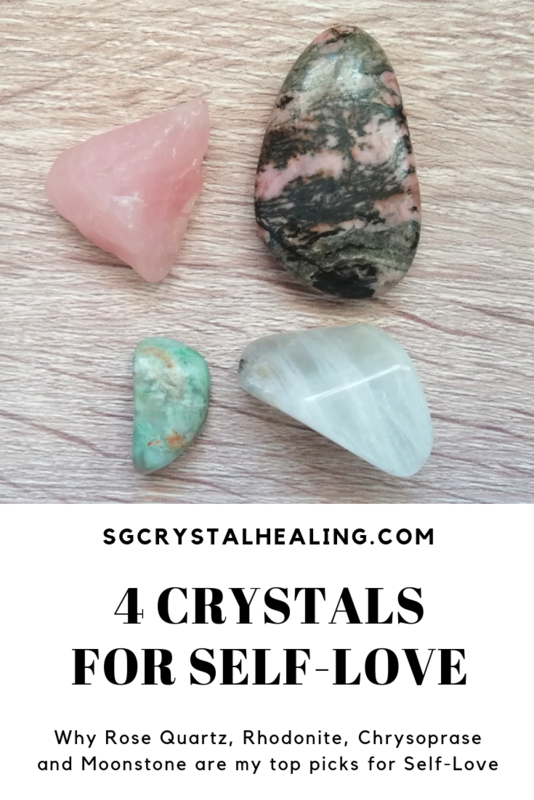 Crystals for self love and my top 4 picks is what is on the menu today. Self-Love is always being thrown in our face and we don’t always know where to start with that. 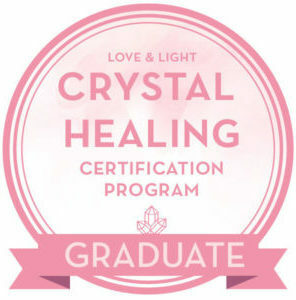 If you’re into crystals or would like to work with crystals for that extra crystalline reminder to self-love your Self, then you’re in luck. Rhodonite, especially the tumbled kind with both pink and brown in it. It is all about “grounding in love”. Rhodonite reminds us to not pour it ALL out to others while not pouring for ourselves. Chrysoprase isn’t one usually thought of for self-love and initially I also thought it as strange, but it speaks about BALANCE and this is all my Guide would offer me. When I looked it up, I understood better: Chrysoprase can help with yin/yang balance, self acceptance, neurotic patterns, inferiority and judgemental attitudes – Philip Permutt (The Crystal Healer) Sometimes we judge ourselves too harshly and that isn’t all self-lovey is it. Moonstone because it’s amazing, no I’m kidding. Moonstone encourages us as women to EMBRACE our Selves but also our Divine Feminine and our uniqueness. I like to think that Moonstone gets you in touch with your essence again. If you are attracted to a particular crystal that says “self-love” to YOU, then go with that. These are my top 4 picks but they aren’t necessary the only ones to work with. Remember that crystals are great cheerleaders but nothing happens if you don’t work with your crystal/s as well as yourself, so WORK! Very much a crystal addict,& would appreciate it if you would send me yr catalogue???? I do not sell crystals. If you are in the US, I would suggest you visit Healing Crystals to purchase crystals online. If you are in South Africa, I wrote a post about local South African online retailers which you can look at here. I offer distance crystal healing sessions for women, pets as well as intuitive card reading and oracle mandala drawings.